Considering that Marin is the wealthier country in the state, it is hard to grasp the reality that homelessness is still a major local issue. What may be more difficult to understand is how – and why – an estimated 2,600 of Marin’s youth are homeless or at risk of becoming homeless in the near future. Few programs address this issue with a comprehensive and compassionate approach like Zara Babitzke’s Ambassadors of Hope and Opportunity. 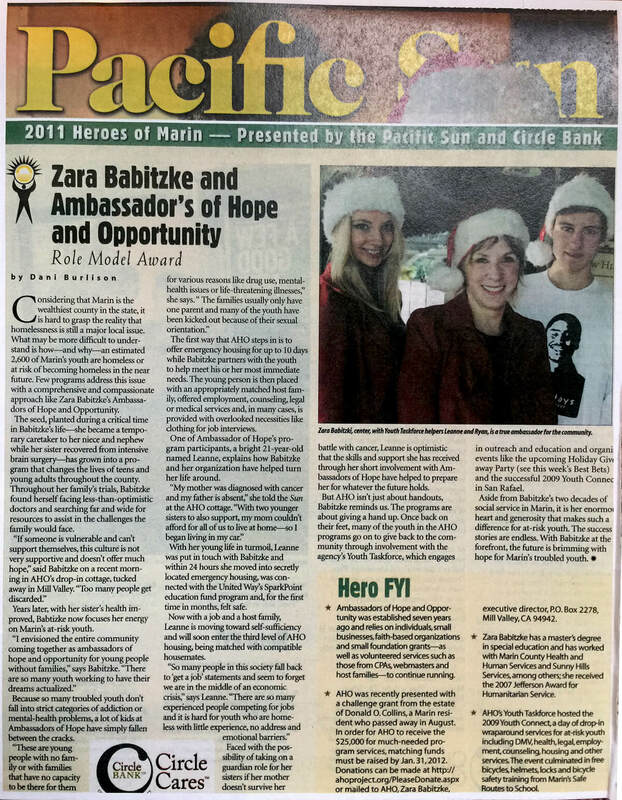 The seed, planted during a critical time in Babitzke’s life – she became a temporary caretaker to her niece and nephew while her sister recovered from intensive brain surgery – has grown into a program that changes the lives of teens and young adults throughout the county. Throughout her family’s trials, Babitzke found herself facing less-than-optimistic doctors and searching far and wide for resources to assist in the challenges the family would face. Read the rest of this article in the Pacific Sun HERE. “We can be heroes – just for one day,” sang David Bowie in his 1977 hit. But the Thin White Duke was only partly right. Because, thanks to our Heroes of Marin series of stores, we’ve got heroes not just today – but all month long. 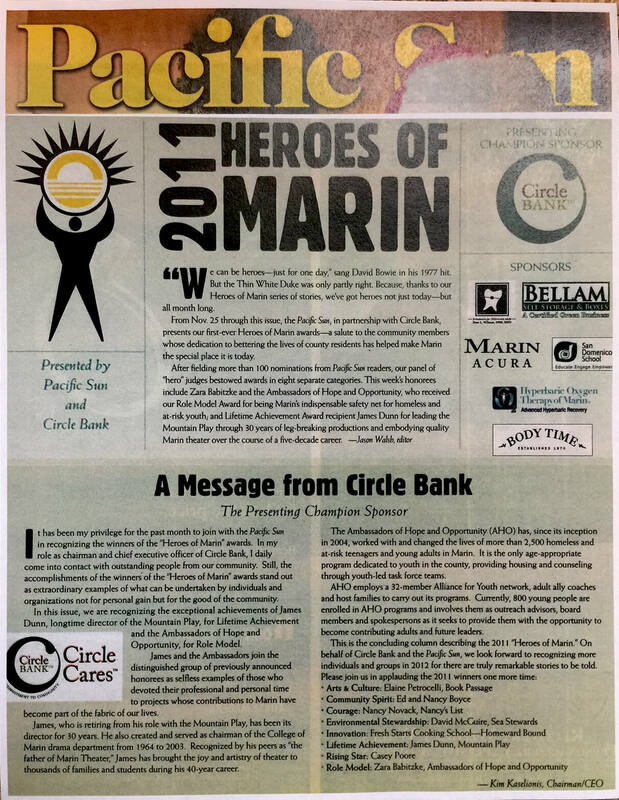 From Nov.25 through this issue, the Pacific Sun, in partnership with Circle Bank, presents our first-ever Heroes of Marin awards – a salute to the community members whose dedication to bettering the lives of county residents has helped make Marin the special place it is today.